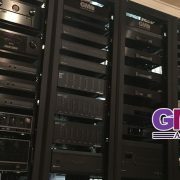 This is part three of a three-part series outlining the complete Crestron system takeover and repair at a luxury New Jersey home. This entry will cover the end stages of installation and where we stand with the client today. With our rack consolidation complete, TVs re-mounted and wired with integrated remote controls programmed and ready, and the wireless network running strong and securely, our client was beginning to see how his Crestron control system was meant to be used. Of course, our job was far from over. Our client was so impressed with how we transformed his control system, additional expansion was called for, which when you do the job the right way and not the easy way, brings additional challenges. The beauty of doing exceptional work is the client will almost always ask for more. In this case, our client had older audio gear in his Crestron racks prior to us beginning the takeover. Being pleased with the sound quality as it was, he was gun shy about upgrading to newer audio components. As the job began to expand we laid out the pros and cons of maintaining his current gear or building out into a new audio system Crestron Sonics system, which allows for both analog and digital sources and a single wire for distribution, giving access to every audio source everywhere in the home. We also installed an Autonomic Controls system which is the go-to piece of equipment for audio streaming. This simplified design allowed us to use a single device to control whatever audio content the end user chose, be it from a streaming service or stored locally, using a customized interface. 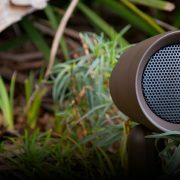 While navigating the audio upgrade, the decided to have us expand the system takeover into the detached cabana next to his backyard pool. 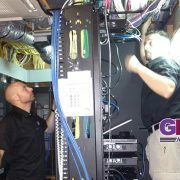 Having our centralized racks now located in the basement it was up to us to come up with a solution that brought the power of his system into the secondary location without loss of quality. An average integrator may have run copper wire in between the home to connect the components, but we decided to take it to another level. The existing conduit between the two locations set by the previous integrator was poorly built and on the verge of collapse, we removed and replaced this conduit and using DM wire and a DM extension off the main system racks we connected the two systems with fiber. Reducing the complexity and potential for issues, a win for us and for our client. Just another advantage of having a team that works together well enough to pivot and do the RIGHT thing and not the easy thing. 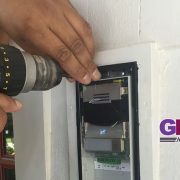 The next challenge we faced when completing the project was integrating the Verizon DVR box and services into the Crestron system for distribution throughout the home. Due to Verizon’s proprietary technology, we had been repeatedly told that it was an impossible task. Once again a case where having the right integrator is the KEY to success on a job site this complex because the devil is in the details. To solve this issue we worked with Verizon to develop a custom solution for integrating these networks by cleverly isolating the Verizon network to deliver the highest quality DVR and streaming directly to the client. This is a solution that others in the industry would scratch their heads and consider impossible, but by owning the job site and not waiting for someone else to solve the problem, we were able to correct the issue in a unique way. As we began to wrap up our system takeover, and learning about our client’s priorities and needs, we understood that this was not the last time we would be on this site. This is where our concierge level service comes in. We deployed a monitoring system to allow us to view job sites through the background and make corrections. This allows us to give pro-active responses to issues, no matter how much information we are getting about the end user’s experience. We pride ourselves on always being there for our clients and always getting the job done, and this starts by properly deploying our systems so they can be expanded and serviced properly throughout their life cycle. It is plain to see that through a combination of experience, communication and job site mastery, the Done Right Not Easy crew is up to the challenge of any new Crestron control system design or system takeover, no matter the level of client expectations or challenges that may arise. 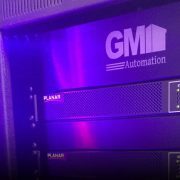 Interested in having GMI Automation take care of your automation system? Contact us today!